Pioneers in the industry, we offer grout 22 and grout gp2 from India. Grout 22 is equipped with an ability to use dry powder. The addition of a controlled quantity of unpolluted water produces a free-flowing, non-shrink grout. 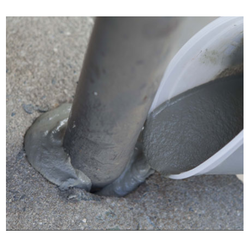 Grout twenty-two may be a mix of hydraulic cement, stratified fillers and chemical additives that impart controlled growth within the plastic state while minimizing water demand. The tide demand ensures high early strength. The stratified fillers area unit designed to help uniform mixture and turn out a homogenous Grout. Free flow, high strength, non-shrink, cementitious precision grout. Addage Grout GP2 is employed for exactitude grouting wherever it's essential to face up to static and dynamic hundreds. Typical applications would be the grouting of base plates of turbines, compressors, boiler feed pumps etc., It may also be used for anchoring a large vary of fixings. These embrace masts, anchor bolts, and fence posts. Evaporated enlargement system compensates for shrinkage and settlement within the plastic stat. 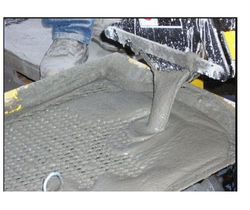 Addage Grout GP2 is provided as an ability to use dry powder. The addition of a controlled quantity of unpolluted water produces a free-flowing, non-shrink grout for gap thicknesses up to 100mm. Addage Grout GP2 may be a mix of hydraulic cement, hierarchic fillers and chemical additives that impart controlled enlargement within the plastic state while minimising water demand. The low tide demand ensures high early strength. The hierarchic fillers square measure designed to help uniform compounding and turn out a homogenous Grout. Associate in Nursing toughened technical consultatory team is accessible to convey technical service for the asking.